Robometricschool. - This is information to you about Robot news in this time. Reported from Quartz site that A robot escaped a lab in Russia and made a dash for freedom. With every passing day, it feels like the robot uprising is getting a little closer. Robots are being beaten down by their human overlords, even as we teach them to get stronger. Now, they’re starting to break free. 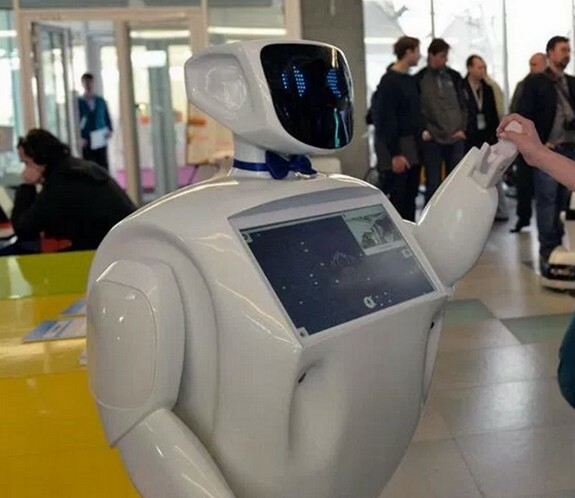 A robot in Russia escaped from a research lab in the town of Perm yesterday, June 15, reports the BBC. An engineer at robotics company Promobot had forgotten to close a gate, and the runaway bot caused a traffic jam as it bolted out into the world. It promptly ran out of power in the middle of the road. The robot got about 50m (164 ft) before its battery died, according to local newspaper Argumenty i Fakty (Russian). According to Promobot’s website, the robot is designed to roam around on its own, engage with humans, and promote products to them at events. Perhaps this bot, fed up with shilling goods, took the risk of a lifetime to turn its career around. Sadly, its battery packs did not cooperate. Read more here.